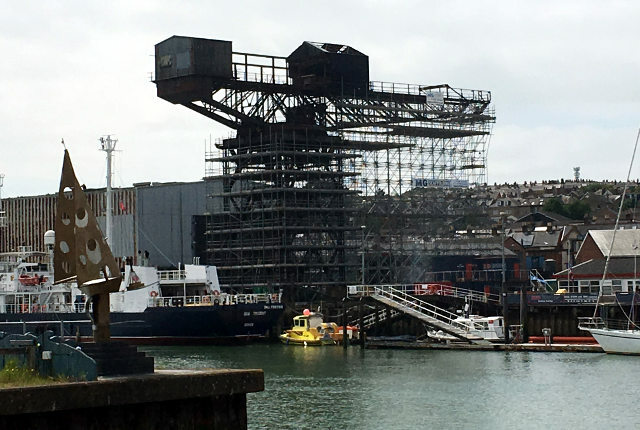 Cowes Harbour Commission repeat their warnings ahead of next week’s planning committee that the application by the Harrison Trust could pose a huge risk for the Isle of Wight marine industry. Ahead of next week’s planning committee meeting which will consider the planning application for Medina Yard, Cowes Harbour Master, Capt. Stuart McIntosh once again shares the view of the Harbour Commission. They believe that if the planning application by the Harrison Trust is approved by the committee (it has conditional permission being recommended), it would pose a huge risk to the future of marine employment on the Isle of Wight. “The Commissioners and I would like to highlight the issues and risks to marine employment that this application poses to Cowes and the wider Island. “CHC’s policy and advice to all the key parties over the past 10 years has been and remains consistent, regarding the three current marine employment sites in various stages of development in the Medina Valley, and is detailed in our article [see link to newsletter below]. 2 Comments on "Medina Yard plans pose threat to Isle of Wight marine industry, says CHC"
What we have to remember here is that the Harrison Trust can call upon deeper pockets (read “more expensive lawyers”) that IW Council.